Charles Rao opened Rao’s in 1896 — the historic Harlem restaurant that’s arguably the most exclusive place in New York — but it was Frank Pellegrino Sr. who transformed it into what it is today. He created a booming brand, founding Rao’s Specialty Foods (which produces the wildly popular marina sauce) and authoring two cookbooks. 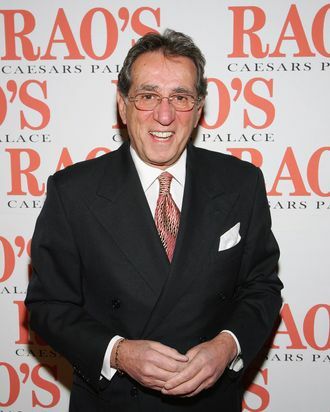 He also helped his son, Frank Pellegrino Jr., expand Rao’s to Las Vegas and Los Angeles. Yesterday, at the age of 72, he died after a battle with cancer.